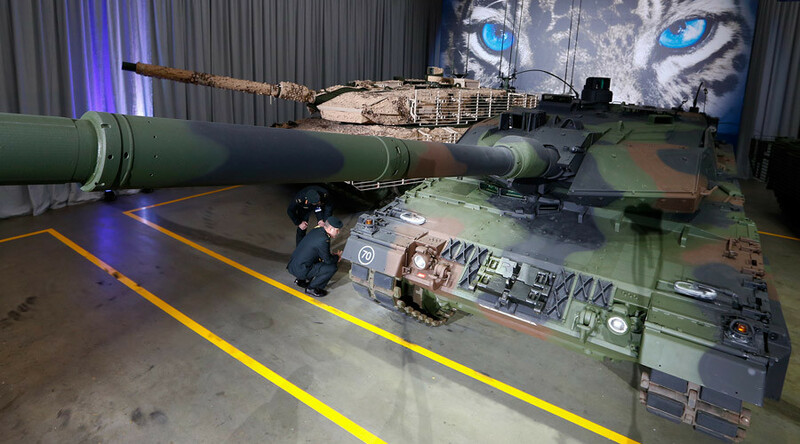 Germany is preparing to deploy its most modern ‘Leopard 2’ tanks and more than 600 infantrymen to Lithuania as it joins NATO’s biggest military buildup since the Cold War, German media reported citing the defense ministry. The plans to deploy not infantry and tanks to the NATO member state bordering Russia were announced by the German Defense Minister Ursula von der Leyen at a two-day meeting of the alliance’s defense ministers in Brussels. Deployment of “heavy weaponry” was then confirmed to the German daily Die Welt by a defense ministry spokesman, who said that tanks will be only part of the military equipment that Germany is going to deploy to the Baltic State. A NATO battalion under German command will be stationed in Lithuania In February. The battalion’s personnel will amount to 1,000 soldiers, with from 450 to 650 of them coming from Germany and the rest being deployed by France, Belgium and Croatia. According to the German daily Der Tagesspiegel daily, this will be an autonomous combat-ready unit equipped with tanks and armored vehicles that will also have snipers, engineering troops, military medics and even military police. The battalion will be fully operational starting from June 2017, German media reported. The decision to send tanks alongside with the infantry to Lithuania should “send a clear signal” that Germany takes security concerns of the eastern NATO members “seriously,” von der Leyen said during the ministers’ meeting in Brussels. “It should send a clear signal that an attack on any NATO member state would be regarded as an attack on all 28 members [of the bloc],” she said, as cited by Der Tagesspiegel. At the same time, she stressed that the deployment of German forces on the Russian border was a “strictly measured” step that has exclusively “defensive” purposes, as reported by Die Welt. In 2015, von der Leyen ordered 100 new Leopard 2 tanks for the German army, the Bundeswehr, “in response to the Ukrainian crisis.” Additionally, all tanks that are currently in use by German forces should be modernized starting in 2017, according to the defense ministry’s plan. The upper threshold for the number of tanks in the German army, which was set at 225 in 2011, was then increased to 328 in line with the ministry’s new plans, Die Welt reported. However, the plans to station tanks almost on the Russian border provoked criticism from some German politicians. “Those who really want to preserve peace in Europe should eventually return to relying on the traditions of the policy of détente instead of continuing to support the confrontational course that is neither in German interests, nor in the interests of the EU,” she said. Germany’s move is part of the NATO buildup agreed at the bloc’s summit on June 14. It involves deployment of a new 4,000-strong force in the Baltic States and Poland, in addition to more than 1,000 soldiers already stationed there on a rotational basis. Alongside with the mostly German battalion that will be formed in Lithuania, the US will send its troops to Poland, Canada is expected to offer troops to Latvia, and the UK will deploy a battle group to Estonia. 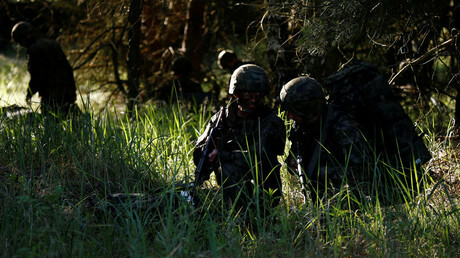 NATO Secretary-General Jens Stoltenberg confirmed the troop contributions, saying that Albania, Italy, Poland, and Slovenia will contribute to the Canadian-led battalion in Latvia. Belgium, Croatia, France, Luxembourg, the Netherlands, and Norway will contribute to the German-led battalion in Lithuania, while Denmark and France will contribute to the UK-led battalion in Estonia. 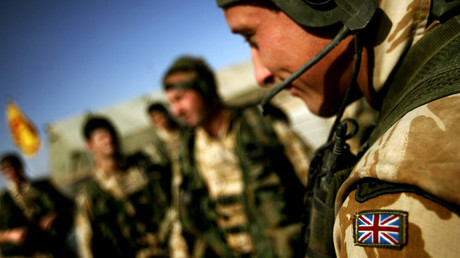 In addition, Romania and the United Kingdom will join the US-led battalion in Poland. "NATO stands as one. An attack on any ally will be considered an attack on us all," Stoltenberg said following a defense ministers meeting of the North Atlantic Council. "We are concerned about Russia’s behavior. But dialogue is even more important when tensions run high," he added. US officials told the Wall Street Journal in late September that some 1,000 US soldiers will come from the 2nd Cavalry Regiment based in Vilseck, Germany, and are due to arrive in Poland by April. 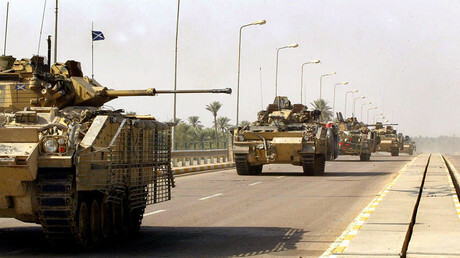 On Wednesday, British Defense Secretary Michael Fallon said the UK will send around 800 armored infantry troops equipped with Warrior fighting vehicles as well as Challenger 2 tanks and Royal Air Force (RAF) drones to Estonia. Britain’s deployment of troops, drones and aircraft is expected to begin in May 2018. NATO’s massive buildup on the Russian borders has become a concern for Moscow, prompting retaliatory measures. In June, Russian Defense Minister Sergey Shoigu said that “NATO and the US have deployed about 1,200 pieces of military equipment” as well as “more than 1,000 soldiers” in Eastern Europe and added that the deployment of US anti-missile defense systems (ABM) in Eastern Europe is a source of particular concern for the Russian military. Russia repeatedly insisted that such actions jeopardize the “strategic balance” on the continent. In July, Russian announced the formation of a new task force to counter NATO buildup in Eastern Europe. Four divisions, nine brigades, and 22 regiments have been formed there from scratch, Shoigu said at that time.